Part 2 of a three-part series about reading through the Bible in a year. If you missed part 1, you can find it here. In the read-through-the-Bible groups I’ve been part of, we read about three chapters a week, completing a whole book before moving on to another. The reading plan we followed (very similar to the one in my book A Woman’s Guide to Reading the Bible in a Year) alternated Old Testament and New Testament books, so we moved from Genesis to Matthew and back to Exodus, for example. Reading one book at a time means you don’t have to flip through multiple pages to find the start and stop points for readings on plans that draw from multiple books each day. Alternating Old Testament and New Testament books means you’re not reading the Old Testament for nine months straight, which is what happens reading about three chapters a day. If you’re not very familiar with the Old Testament when you begin, three quarters of the year apent among the Israelites, judges, kings, and prophets can seem like a very long time. Even better, alternating Old Testament and New Testament books means you start making connections between them sooner and more easily than you might if you read straight through. Alternating Old and New Testament books means you start making connections between them sooner. Have you noticed how women, when we get together, like to talk? And have you also noticed how easy it is for a group of women to get off track? Well, in our groups that almost never happened. Truth. We found so much to talk about from our reading each week that we rarely veered off topic. Sometimes a woman came to group with a heavy heart and needed to share about her situation. We always made some time for that. But otherwise, if we got off track, our leader would ask, “What does the passage we’ve been discussing teach us about God’s character?” and that was enough to refocus our conversation. And we really were having conversation. If I brought up a verse that had stood out to me, someone else would comment. Maybe she shared my reaction to the verse, or maybe she saw something different in it. Someone else might have a question about the verse, and someone else might have been reminded of a passage we had read weeks earlier. This easy, relaxed discussion is one of my favorite memories. Especially as time went on, I loved hearing the rustle of Bible pages as women turned to other passages they wanted to share that had some bearing on what we were discussing. I loved hearing the rustle of Bible pages as women turned to passages they wanted to share. Sometimes the group fell silent. We were never afraid of this or embarrassed by it. We simply waited, or our leader might ask, “What else stood out?” Either way, the Holy Spirit soon nudged someone else to bring up something new to talk about. Maybe you’ve picked up that as we were getting to know God, we were also getting to know one another. Our groups developed wonderful community. We always prayed together before each meeting ended. We didn’t simply share prayer needs with one another; we prayed conversationally about each request. We celebrated new babies and mourned deaths. We feasted at Thanksgiving with an “Anything but Turkey” potluck and at Christmas with a dessert buffet. We prayed over women who were moving and had to leave the group. Curious? Think you might like to try reading through the whole Bible? Next week’s post features tips and encouragement to see you through. Need some friends to do the read-through with? Join my new Facebook group, Women Reading Through the Bible in a Year. I’ll be posting the weekly reading plan from A Woman’s Guide to Reading the Bible in a Year on that group page every Monday morning beginning January 1. The group is also a place where you can comment or ask questions about each week’s readings. Be sure to watch for part 3 of this series next week: Tips and encouragement for reading through the Bible in a year. Last weekend I got to share with the women of First Christian Church of Washington, Missouri, about the value and blessings of reading through the Bible in a year. Over the next three weeks, I’m posting some of those thoughts here. 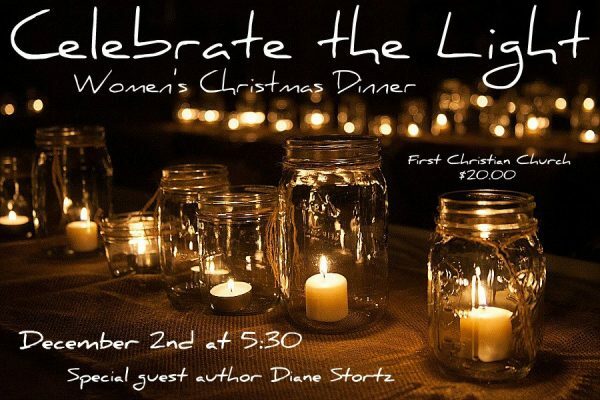 Sometime around Christmas 1999, I received the best Christmas gift I have ever received—an invitation to join with other women to read through the Bible in a year. When I saw the announcement in our church paper, I knew immediately I would go. I’m not a joiner, so to feel this assurance wasn’t like me, but it was real. For several years I had been searching for a way to connect with God, and somehow I knew I needed to join this new group. That first Monday night of January 2000, the night the group began, a raging thunderstorm hit just before I needed to leave my house to make the 20-minute drive. Great. I wasn’t familiar with where I would be driving and now there was thunder, lightning, and sheets of rain. My husband suggested I might want to stay home, just wait until the next week to join the group. No, I told him. I was going. I had to go. So I drove through the storm to an unfamiliar neighborhood, parked on the street and ran up to the front door. Inside was all warmth and light and hot cocoa and coffee and welcoming faces, and I knew I was right where I needed to be. That invitation in the church paper truly changed my life—and at the time I didn’t realize just how much needed changing! So many blessings have flowed from that invitation. The original group grew and started two additional groups and continued strong for a dozen years. 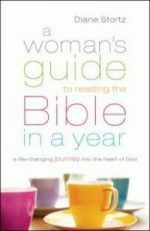 Eventually I developed my book A Woman’s Guide to Reading the Bible in a Year to offer others the same invitation to read all of God’s Word. If you want to get into God’s Word like you never have before, you can! He put it together for you, and He wants you to read it. You—yes, you!—can definitely accomplish reading the whole Bible in a year … and most likely want to do it all over again. And that’s what we did. By reading the whole Bible that year and talking about our insights, questions, and the verses that stood out to us, each of us began to see and know God in ways we never had before. This was more than simply knowing things about God. We were getting to know God better the way you get to know a friend better when she shares her heart with you. We didn’t read to answer homework questions. We didn’t have any study books on specific topics. Not that those are bad things; there’s definitely a place for in-depth study of Bible books and topics. Our plan was to simply read the whole Bible. 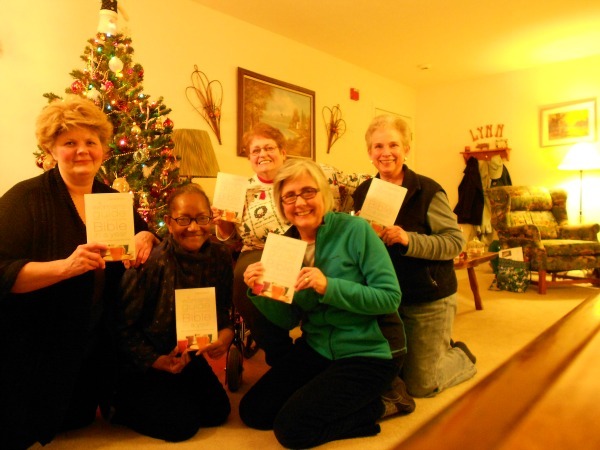 We read about three chapters every day and got together on Monday nights to talk about it. That question was never met with silence. Someone always had come across a meaningful verse, a new idea, a question, or something that bothered her. And I will tell you that in the first few years, especially, most of us had a lot of questions and a number of things that bothered us. I had been a believer for nearly three decades, but I had never read a lot of the Old Testament before. Many of the other women hadn’t either. So we wondered, for example, why God went with the big flood, what on earth all the weird rules in Leviticus had to do with anything, and why God told the Israelites to kill all the pagan peoples living in the Promised Land. We didn’t just wonder about things like this; we didn’t like them very much! But as we kept reading and talking and taking in the whole story of the Bible, these puzzling events began to make sense. We began to see what God was doing through them. And even more important, we began to see and understand God’s character, His heart. You know, we hear a lot about God’s love, and we like to talk about that. But as the women in my group read through the Bible, we began to see that God also is all-powerful, and sovereign, and holy, and just, and good. We began to trust Him more, because we could see that He is a promise-keeping God—and His Word is full of promises! Curious? Think you might like to try reading through the whole Bible? Parts 2 and 3 of this series will tell you more. Watch for them next week. Are there book-loving tweens on your Christmas gift list this year? Help them know God better and enjoy a great read at the same time with any of these four new nonfiction titles. 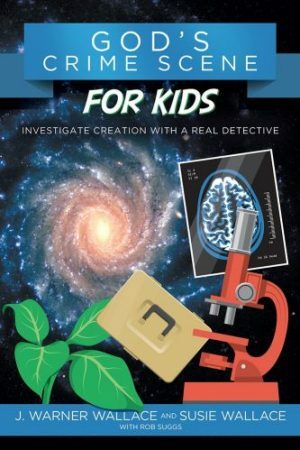 Cold-Case Christianity for Kids and God’s Crime Scene for Kids: Investigate Creation with a Real Detective, by J. Warner Wallace and Susie Wallace (David C. Cook). by J. Warner Wallace and Susie Wallace (David C. Cook). Between the ages of 8 and 12, kids often start to wonder if the Bible is true. In these books, real-life detective J. Warner Wallace helps tweens learn how to think rather than telling them what to think. Both books read like novels as a team of junior police cadets train as detectives. The simple mysteries they attempt to solve lead them to much more important investigations—Does God exist? Was Jesus really the Son of God? Did God really create the world? 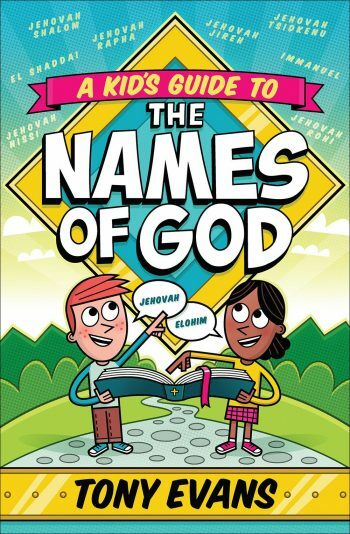 A Kid’s Guide to The Names of God, by Tony Evans (Harvest House Publishers). With my books I AM: 40 Reasons to Trust God and I AM Devotional, you know I’m all about kids learning to love and trust God more as they learn about his names. So I am glad to see this one for tweens now available. Ten chapters each spotlight a different name and give kids understanding of the name plus practical application to their own lives. Writing spaces in each chapter help kids process the information as they read. 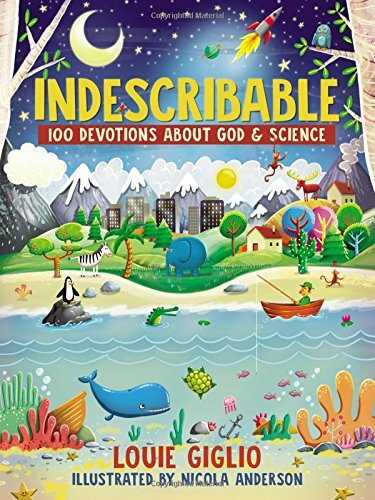 Indescribable: 100 Devotions About God & Science, by Louie Giglio (Tommy Nelson). Fun and fascinating facts about space, Earth, weather, animals, the human body paired with Scripture teaching and encouragement give kids an in-depth look at God’s indescribable power, love, and creativity. Colorful illustrations and a cool design paired with the text make this devotional one that tweens will look forward to opening up each day! Which one of these new books will end up under the tree at your house? Books should be part of every child’s Advent and Christmas, whether you give them as gifts, stuff them in stockings, or pile them under the tree to enjoy throughout the season. Here’s a look at some of this year’s new Advent and Christmas books for the kids on your list. 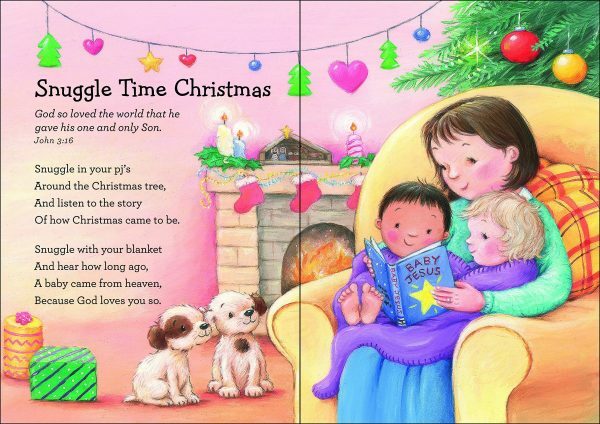 Snuggle Time Christmas Stories, by Glenys Nellist, illustrated by Cee Biscoe (Zonderkidz). 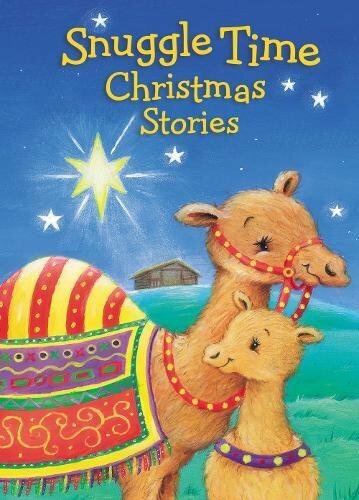 Introduce all the characters in the Christmas story to toddlers and preschoolers with this one. Short, sweet rhyming verses and cute artwork tell the story and explain that Christmas celebrates Jesus’ birthday and Jesus is the best gift. 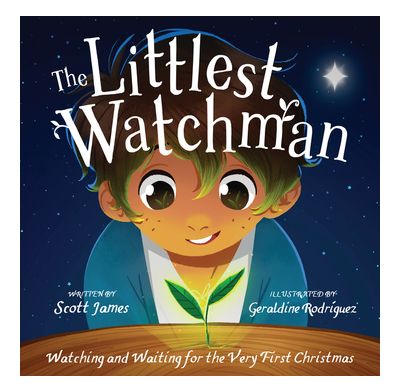 The Littlest Watchman: Watching and Waiting for the Very First Christmas, by Scott James, illustrated by Geraldine Rodriguez (The Good Book Company). Like the other Watchmen in his village, young Benjamin watches for the sign of the arrival of the Maker’s promised King—a new branch coming from the stump of Jesse. Watching and waiting are hard, and Benjamin’s about to give up, until one night on the Bethlehem hillside, everything changes! 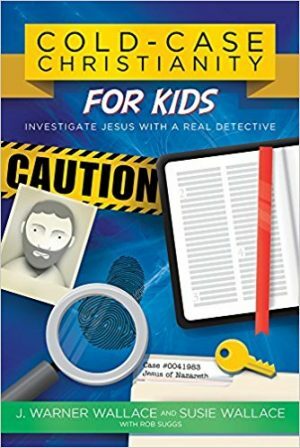 The author’s note, “You Can Join the Watch,” helps children sort out the facts and the fiction in the story, and encourages them to watch and wait for Jesus to come again with excitement every day. 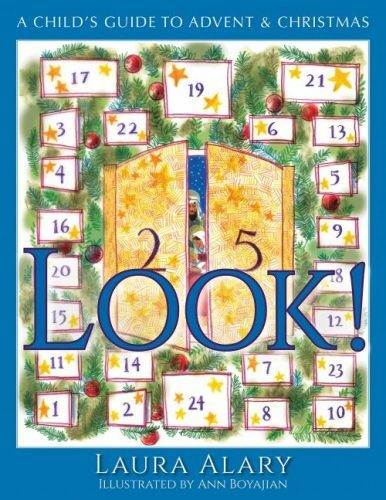 An Advent calendar coordinated with the book also is available, and includes a booklet with kid-friendly family devotions for December 1-25, each one planned to help children watch and wait! Look! A Child’s Guide to Advent & Christmas, by Laura Alary, illustrated by Ann Boyajian (Paraclete Press). This thoughtful book with lyrical prose looks back at people in the Bible who for God, looks around at our world and what needs to change, and looks ahead to Christmas and what happens whenever we say yes to God. Savor this one and enjoy the wondering! One illustration includes prayer beads, which you might want to explain if that’s not your tradition. 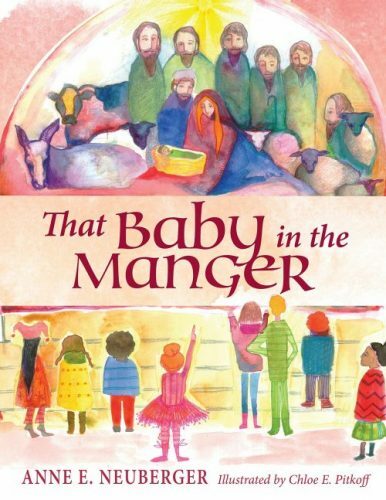 That Baby in the Manger, by Anne E. Neuberger, illustrated by Chole E. Pitkoff (Paraclete Press). 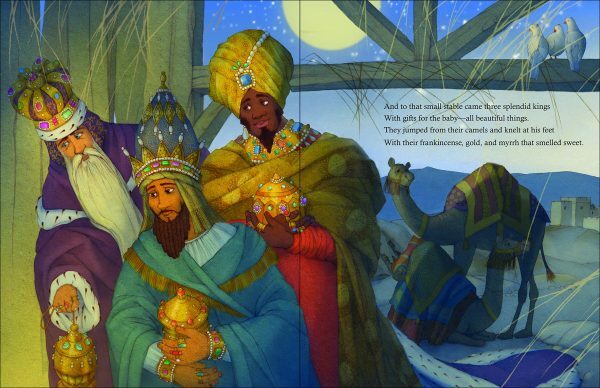 How can children understand that Jesus came for people of all races and ethnicities when the baby in the church’s nativity scene doesn’t look like them? A first-grade class figures it out with help from a kind old gentleman and the parish priest. 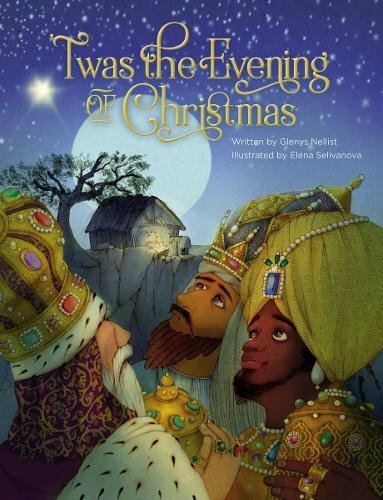 Twas the Evening of Christmas, by Glenys Nellist, illustrated by Elena Selivanova (Zonderkidz). This time it’s sleeping, dreaming stable animals who are startled awake by the unfolding events of Christmas Eve. Rhyming text (with a nod to Clement C. Moore) and amazing illustrations bring Christmas close in this beautiful, jacketed hardcover picture book. I prefer not to see the wise men at the stable, since they arrived much later, but I do love these three! for elementary and middle grades. Thanks for reading! If you know someone who would like to know about these books for kids too, please share this post with them. 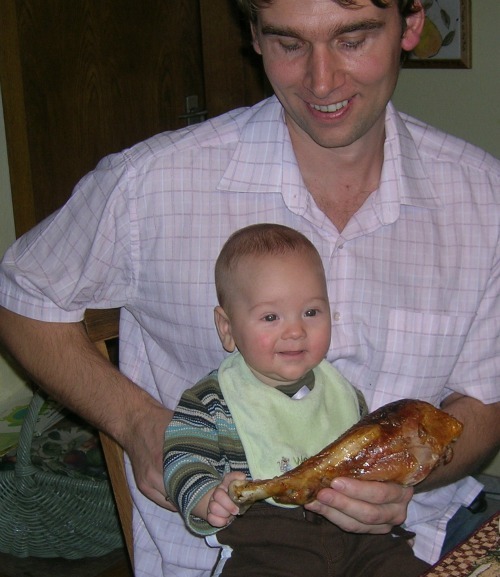 Brush up on your understanding of the roots of Thanksgiving Day. Does anything here surprise you? King James I … he’d been persecuting the Separatists because they wanted to leave the Church of England. Separatists … not to be confused with the staid and drab Puritans, who didn’t arrive in the New World until ten years later. Christopher Jones … captain, or “master,” of the Mayflower and its crew. Pilgrims … the term first meant the Separatists because of their wanderings in search of religious freedom, but today it’s applied to everyone on the Mayflower. William Brewster … leader of the group of Separatists who sailed on the Mayflower. The “strangers” … others who joined the Separatists on the Mayflower. Oceanus … the baby boy born to Stephen and Elizabeth Hopkins during the voyage. John Carver … first elected governor of the Plymouth colony. Miles Standish … led an exploration party onshore before the Pilgrims disembarked. Samoset … native American of the Wampanoag tribe who brought Squanto to help the Pilgrims. Squanto … his perfect English and knowledge of fishing, planting, hunting, and trapping saved the Pilgrims who had survived the first harsh winter. Massasoit … chief of the Wampanoag tribe, who signed a peace treating with the Pilgrims. William Bradford … the colony’s second governor, who instituted the three-day feast we call the first Thanksgiving in order to acknowledge the blessings of God. 1524-1614. European explorers visited the Cape Cod area. 1611-1614. A total of 32 native men were captured and kidnapped to be sold as slaves. Among them was Tisquantum (Squanto), who went first to Spain and then to England, where he learned the English language. 1616-1620. European diseases, for which the native people had no immunity, hit the northeast. So many from Squanto’s village of Patuxet died that the village was abandoned. 1618. Squanto came back to his homeland and discovered his village was gone. September 6, 1620. Just over 100 men, women, and children—including a group of English Separatists—set out from Holland on the Mayflower, a wooden cargo ship no more than 150 feet long. Holland offered them freedom of religion but they feared the effects of living in a materialistic culture. Although they intended to sail to the Hudson Baby area, a storm blew them off course during their difficult, unpleasant 66-day journey. They reached land on November 11, 1620. December 11, 1620. The Mayflower anchored at what is now Plymouth, Massachusetts. The travelers went ashore on December 16. All around them looked like wilderness, but it was actually the lands of Patuxet, Squanto’s abandoned village. Winter, 1621. The Pilgrims experienced severe sickness, starvation, and exposure. Nearly half of the Mayflower settlers died. March 16, 1621. Samoset visited the colony. Soon after, he brought Squanto, who agreed to live with the colonists and teach them how to survive in his homeland. The Wampanoag chief Massasoit and John Carver, the English governor, formed an alliance. Early fall, 1621. The colony had a successful harvest. William Bradford, then the governor, called for a feast to celebrate and to acknowledge God’s blessing. The feast might have taken place in October. Some say the colonists invited some Wampanoags to join them; others say the native Americans came to investigate the gunfire they heard as part of the Pilgrims’ festivities. However it happened, 90 Wampanoags, including Massasoit, ended up joining the three-day celebration and provided five deer for the meals. November 1, 1777. The Continental Congress called for the first national day of Thanksgiving on December 18 to commemorate victory over the British at the battle of Saratoga. October 3, 1789. President Washington proclaimed a national day of thanksgiving for the United States Constitution. 1846. Sarah Josepha Hale, editor of Godey’s Lady’s Book, began to campaign for an annual Thanksgiving holiday. 1863. President Lincoln called for two national days of thanksgiving, one in August after the battle of Gettysburg, and one in November to give thanks for “the blessings of the fruitful field.” The idea of an annual day of thanksgiving caught on. November 26, 1941. President Roosevelt signed a bill making the fourth Thursday in November our national Thanksgiving Day. 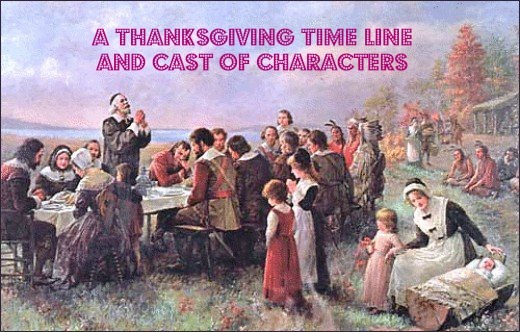 In two weeks, America celebrates Thanksgiving Day, rooted in early events in national history, events in which real people lived and died. These events and these people are worth knowing about and remembering. (More about that next week!) The first Thanksgiving meals also thanked God for His provision for our country as a nation—as a community. Now our Thanksgiving get-togethers are more familial than communal. This holiday (just like Christmas) turns easily into a celebration of home and family more than an acknowledgment of God’s gifts to us as a nation. Home and family are among His gifts but not the extent of them. So my prayer is that as we all gather around our Thanksgiving tables later this month, we’ll be thankful for personal blessings, yes, but national blessings too. It’s not trendy or cool these days, but it’s right. President Lincoln thought so. Check out his Thanksgiving Day proclamation here. Maybe even print it out to read at your holiday table. Do you remember learning this little rhyme? I do. And children still learn it and use it as a table grace. One of my pre-K grandsons recited it just the other day. November’s arrived, and that means “the holidays” get underway too. A focus all month long on thankfulness, and then figuring out how to carry that over into the plans and dreams your kids have for Christmas, right? How DO we teach children to be thankful? Grateful even? Not entitled? You can find a lot of good advice if you go looking. Just today I discovered this post from Tyndale House Publishers, with a new book about raising grateful kids at the end. My one piece of advice is simple: Direct your child to the Giver. Just today (after he had a ginormous poop), that same pre-K kid wanted to know WHY we poop. See, even a conversation about poop can become a time for turning a child’s thoughts to God and His great love for us, for which we are thankful and glad. Even talking about poop can be a time to turn a child’s thoughts to God’s love. As children grow, projects like a Gratitude Jar or a Thankfulness Journal (or even a Thanksgiving Cootie Catcher!) 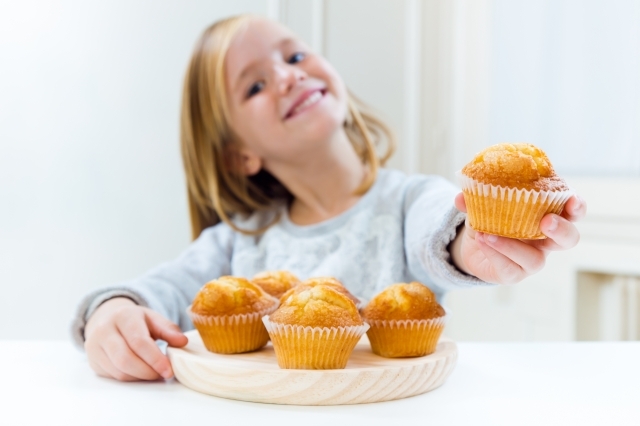 can help children focus on their blessings. So can sponsoring a child in poverty through a Christian organization as a family, or giving away possessions to benefit others. The important thing, I think, is to direct your thankfulness to God. It’s good to be thankful for beauty, for kindness, for fun, for family and friends. But all those things come from God, so focus on that with your child in all you do, in conversation, prayers, and songs. In big and little things, easy and hard things, be thankful to God. I actually haven’t thought about those words or that tune for a long time, but both are there, stored in my memory by their repetition, and floated to mind as I sit here writing this post. A good reminder that our being thankful should begin and end with God. I wouldn’t want to be “lost” in a corn maze. That feeling that your friends are somewhere, but at the moment you’re alone. Finally, though, you round a corner and see a friend up ahead. Relief! Being an author can feel like that. Writing a book is solitary to begin with. You know your readers are out there, but where? How do you find them? Authors learn to reach out to readers with newsletters, social media, speaking appearances, book signings, launch teams, and contests. 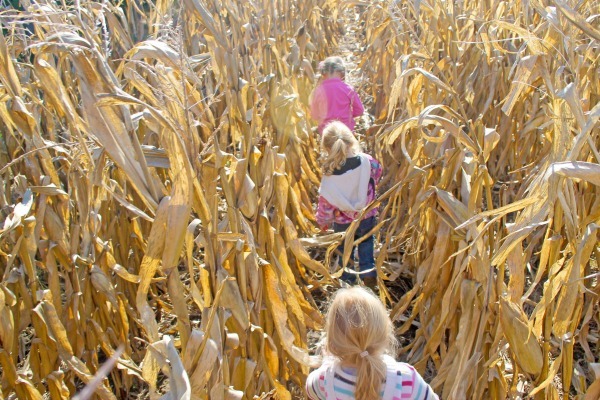 But it’s still a lonely trek through a corn maze unless readers reach back in return. Want to show a favorite author you’re out there? Want to reach back? Here are four easy ways. 1. Sign up for the author’s newsletter. Did you know that with Facebook (and other social media), authors have no guarantee their posts will even show up in your news feed? That’s all controlled by the social media platform. But an author can communicate directly with readers with a newsletter! 2. Like and follow the author on social media. Christian authors, especially, try hard not to measure their success by the numbers. But we’re all human, and creating and curating content to share with you on social media takes time. Let us know you’re out there and interested! 3. Like and Share and Comment on the author’s posts. Publishers do watch the numbers, by the way, so the number of people following an author does matter. But engagement matters even more. Authors care about what you think about what we’re doing and posting, and publishers care that we’re connecting with you. In addition, responding to an author’s posts ensures that you’ll actually get to see most of them in your news feed. It only takes a few seconds to hit Like or Share or leave a quick comment. The more you do this, the more posts from that author you’ll see—the more often the author gets to connect with you on that particular social media platform. Your responses share author posts with your friends … letting them know about your favorite authors and their books—a win for everyone involved. 4. Let the author know that you or your children have enjoyed a book. Here are two easy ways to do this. One is to write a short review on an online site. Don’t let “review” scare you. Just a sentence or two about why you like the book is all you need. That kind of encouragement feels just like finding a friend when you’re lost in a corn maze. Sign up for my newsletter using the Freebie box on this site. Like Diane Stortz Books on Facebook (help me reach the 500 mark!). Go to amazon or CBD and leave a short review. Like this post on my Facebook page or Twitter. Thanks SO much, and let’s stay connected! 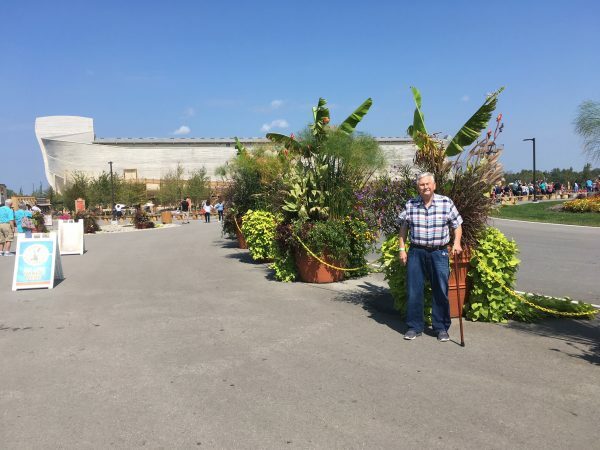 “Think Bigger.” Last month I obeyed the ads and finally was able to visit the Ark Encounter theme park in Williamstown, Kentucky. 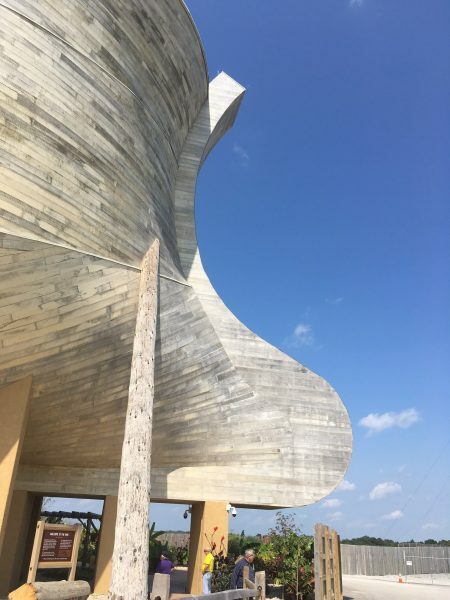 At the center of the park, of course, is a life-size Noah’s Ark, built according to the dimensions given in the Bible. I had anticipated this visit a long time, and I expected the ark to overwhelm me at first sighting. But it didn’t. Yes, it is impressive. And did I say it’s BIG? The closer you get, the more you know that. But something other than size impressed me even more. The “doableness” of the ark. Building it, stocking it, filling it, living in it—all doable! The three decks inside show you how. From how the animals were housed, to living quarters for Noah and his family, even to how waste could have been disposed of—doable. 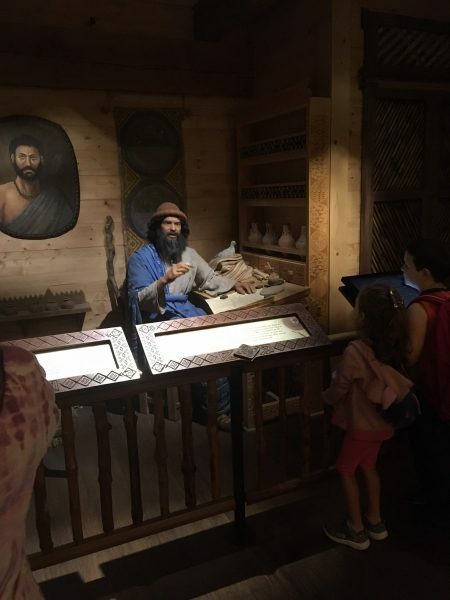 One of my favorite exhibits inside the Ark Encounter ark is Noah talking to visitors and answering questions. He’s animatronic, not an actor, but so realistic that was hard to remember. 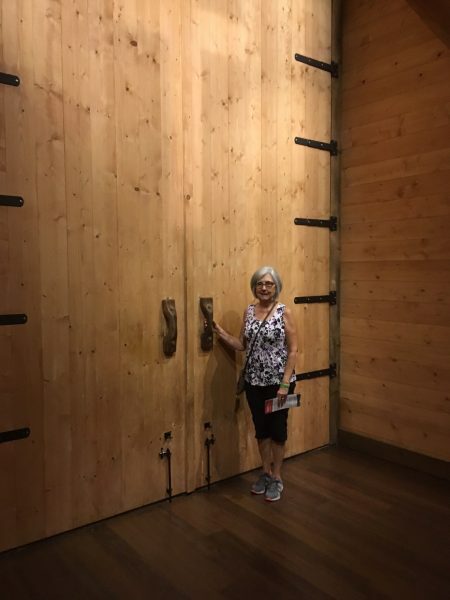 Another area reminds visitors that God himself is the one who shut the door to the ark after everyone was in, and that just as the ark served as the door to safety from the destruction of the flood, Jesus is our door to eternal life with God. 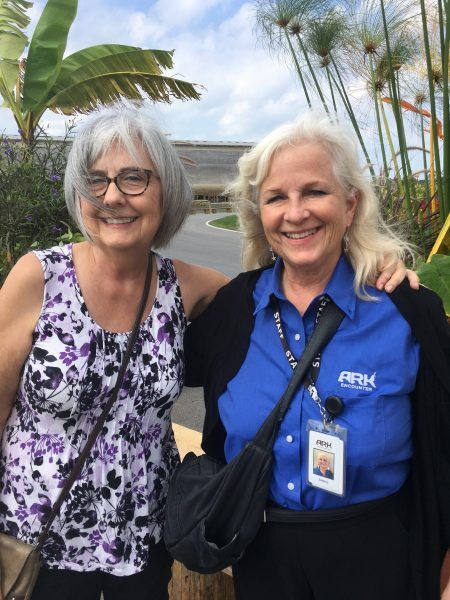 As we headed back to our car, we spotted my friend Jenna, who lives nearby and now works at the ark, answering questions from visitors about the exhibits. 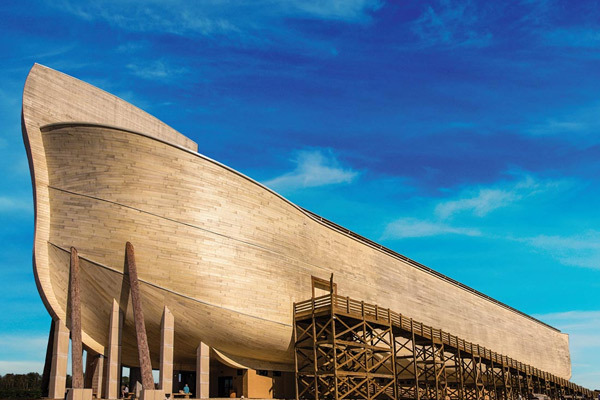 If you have the opportunity, visit the Ark Encounter, and take your children! 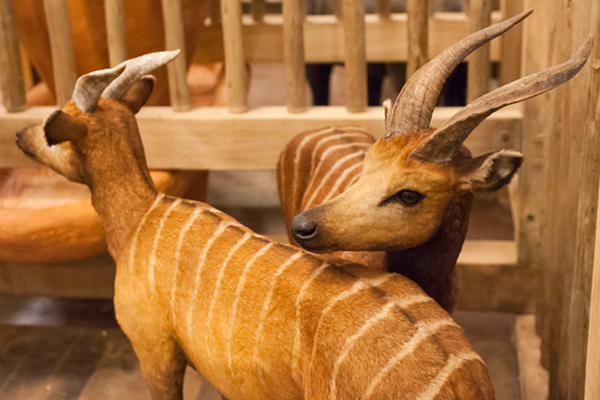 Older kids and teens can enjoy many of the exhibits inside; with younger ones you’ll probably need to keep moving and pass up taking in all the information that’s available. But that just means you’ll want to go back again. The devastation of the California fires this week shocks me. Have you seen the images and listened to peoples’ stories in the news and social media? I grew up in Anaheim, ten minutes from Disneyland, where eerie orange glowing skies and falling ash taunt the theme park’s “Happiest Place on Earth” slogan. 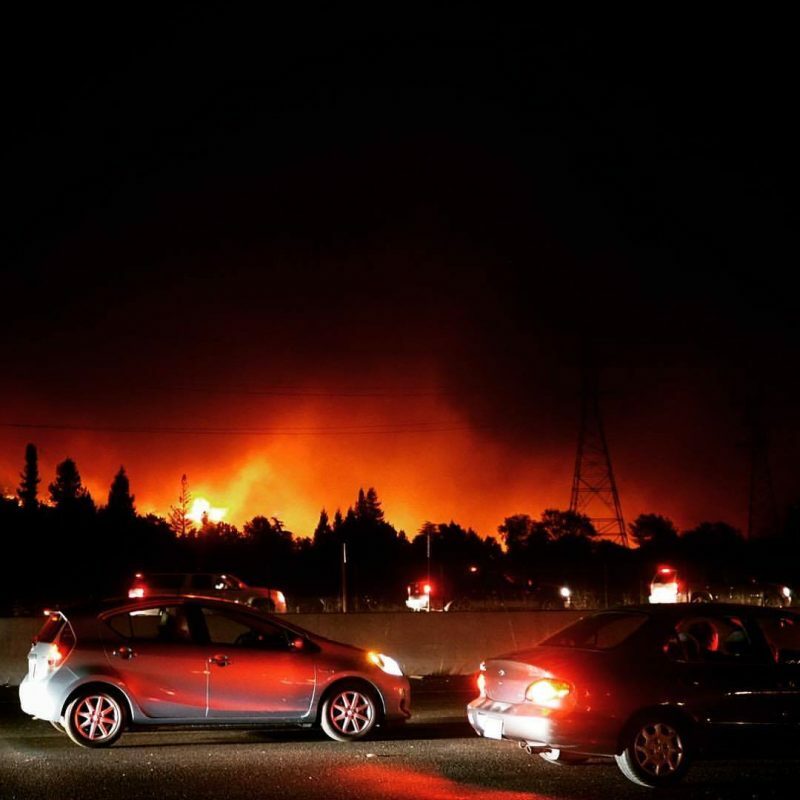 Two agents and a staff member from Books & Such Literary Management, including my own agent, Janet Grant, evacuated their Santa Rosa homes earlier in the week. Agent Rachel Kent’s husband is one of the firefighters bravely battling the flames. Assistant and author Michelle Ule has two adult children who live in homes in the affected neighborhoods as well—one of them in the house he was raised in. Will they will lose everything or return to their homes? It’s impossible to know. So they wait. Needless to say, the authors in the agency are praying. And watching Facebook for updates. These three women aren’t just agents and office staff. They are their clients’ friends. Would you take a moment to ask the Lord to comfort and sustain them? To calm the wind, and even to send rain? To ease the suffering throughout the state? To strengthen those fighting the flames?